The Jonas Brothers, the platinum-selling tween pin-up boys who probably sold merchandise for Disney than Mickey Mouse last year, might have a reason to be Paranoid. Their new single isn’t faring as well as a JoBros single should, on Radio Disney world nor in the real world. Paranoid is the first single from the brotherly band’s upcoming Lines, Vines, & Trying Times isn’t exactly Burnin’ Up the radio. The song has yet to hit the Top 40 of pop radio in its third week in release. Radio Disney has the song at #20 on their official countdown and is more interested in playing “Live to Party,” the theme song from their sitcom. On iTunes, the song has been in and out of the Top 100. The song currently sits at a very un-JoBro-like #91. The Mouse House refuses to panic, although their 3D concert film didn’t match expectations and new episodes of their “JONAS” series on Disney Channel continuously get beat out in the ratings by Nickelodeon shows. Could this be the end of the biggest band of brothers in teen pop history? Johnny Wright, co-manager of the band who also oversaw the giant leaps to stardom of Britney Spears and NSync, says no. 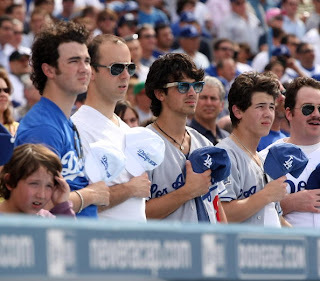 i'm tired of "Jonas" fans not being devoted! show the reviewers what WE got! If you haven't got the new JB single "Paranoid," what are you waiting for? You can pick up the awesome new single off of Lines, Vines and Trying Times at iTunes now! Get "Paranoid" today! I've been waiting to buy this song all day! I totes think it's an awesome song. This song has a new sound compared to the past songs which only proves that with each new single they just get more and more talented! Can't wait for the CD to come out and the World Tour to kick off! SEE YOU GUYS IN PERU & TULSA! I LOVE YOU GUYS! I got it!!! Normally I wait for a CD to be released b/c I don't want to spend the money for a song on Itunes when I know I'm getting the Cd when it comes out. However with JB I break my rules. I got the song to add it to a playlist for my 15 hour drive yesterday. Also I just LOOOOOOOOOOVVVVVVVVVVV the song!!! Click here to get "Paranoid" on iTunes! Remember though, DON'T CALL OR TEXT MORE THAN ONCE A DAY to request "Paranoid," and be sure to be super polite on the phone when you call and thank the station for playing it! Most importantly, if you're under 18 make sure you have your parent or guardian's permission first before calling. The Jonas Brothers' music video for their newly released single, "Paranoid," debuted SATURDAY, MAY 23, on Disney Channel, and is available on iTunes. The video was directed by Brendan Malloy and Tim Wheeler, who also directed the music video for their smash hit single, "Burnin' Up." Jonas Brothers will host a behind the scenes look at the making of the "Paranoid" music video Sunday, May 31 (6:00 p.m. ET/PT) on Disney Channel.